The Daily Star picks up the sound of “punters’ fury at Lotto card Farce”. Those “angry punters” have branded the National Lottery a “rip -off”. The Star says “nearly a quarter” and “most of the top prizes” on Lotto’s 42 scratch card games currently on sale offer prizes that have already been won. “What a waste of money,” says one unnamed gambler, without irony. 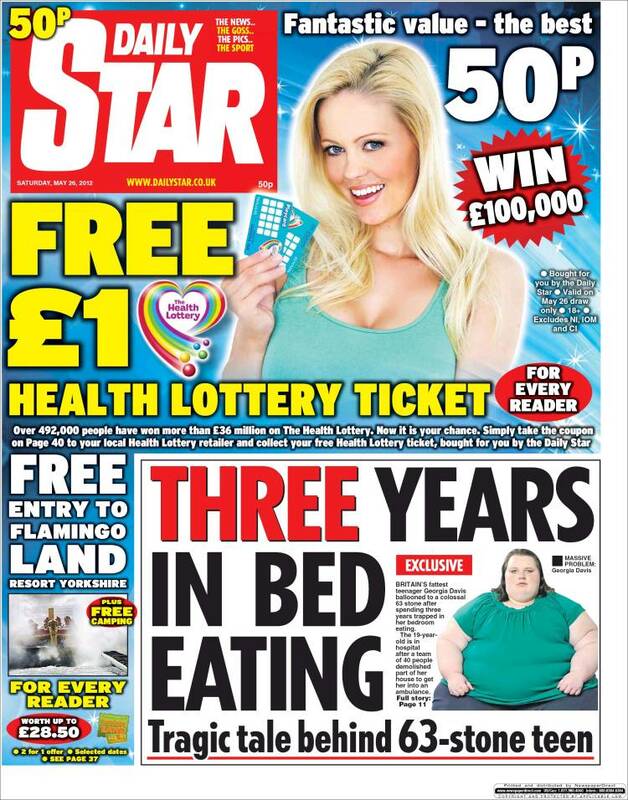 What seems a little less fair is that the Daily Star does not mention that its owner (Richard Demond) is chairman of Northern & Shell, parent company of the Health Lottery, a Lotto rival which sells virtual scratchcards for online games. How it deals with scratchcards after the top prizes have been claimed is not mentioned. We called the Health Lottery to ask them. Calls to The Health Lottery Helpline are charged at 7p per minute plus your telephone provider’s access charge. It took 59 seconds for us to be able to press ‘4’ to speak with an advisor. The chances of winning a Prize will be exactly the same at the point of purchase and shall not be affected by previous wins in the same Game or other Prizes previously paid in other Instant Lottery Games . The advertised prize structure shall remain in place at all times, with each prize tier always available for a win as the Instant Lottery Games do not use a limited pool. It’s different system to the Lotto, then. Whether or not it’s any fairer is moot. Both systems are after all, odds-based punts.